Helmm Deodorant Reviews - Is it a Scam or Legit? In business since 2017, Helmm Deodorant uses zinc alloy containers and refillable polyethylene cartridges to help significantly reduce plastic usage, while delivering a choice of custom scents. Handcrafted with premium materials and fragrances, Helmm Deodorant’s antiperspirant and odor-blocking formulas aim to help upgrade the life of modern men through the use of a patent-pending refillable design, along with a convenient subscription service. The website indicates you’ll simply choose your formula, select between their four different scents, set your schedule, and the company will send environmentally friendly refills right to your doorstep. No one wants to smell bad, whether during the day or at night. But does Helmm really represent "deodorant reinvented," or are there competing options you should keep in mind? Give us a few minutes of your time, and we'll quickly help you find some real-world answers. How Does Helmm Deodorant Work? On the outside, their deodorant containers are manufactured from a nickel-plated, corrosion resistant, laser-engraved zinc alloy, which is wrapped in 5 oz. of premium, hand-stitched, and laser cut Carolina Brown Horween leather, sourced from America’s heartland. On the inside is a 2.5 oz. 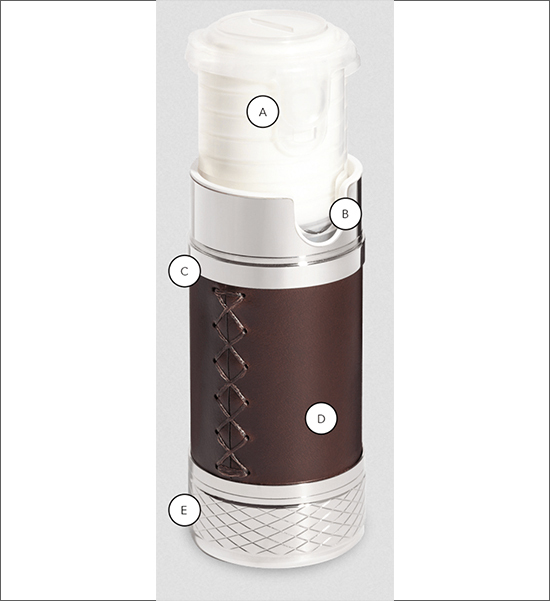 polypropylene and polyethylene refill cartridge that uses premium bespoke fragrances (more next) developed by decorated French perfumer Cecile Hua. Once the low-level notification window on the container's outside indicates it's time, these refill cartridges are said to click in and out of using an easy and intuitive two-step refill mechanism. Together, Helmm tells us that you’ll be able to switch your fragrance with ease whenever the mood strikes, while also reducing your plastic usage by over 60% per unit, compared to existing one-time-use containers. Furthermore, their cartridges are entirely recyclable once finished. Helmm’s deodorant comes in four distinct fragrances, each of which is free from paraben, phthalate, talc, triclosan, and sulfate. Their soon-to-be-released deodorant w/out antiperspirant will also be free of aluminum. Trailblazer – A mixture of Italian Bergamot essential oil, green cardamom extract, and pure ginger essence that feels crisp, cool, and adventurous. Coastline – A “casual, comfortable, free” blend of lavender essential oil and mandarin essential oil. Night Market – Sensual, warm, and sophisticated mixture of Australian sandalwood essential oil, carrot seed extract, and cypriol essential oil. Aluminum zirconium tetrachlorohydrex is the same antiperspirant ingredient used in many different third-party deodorant products, since it blocks pores, prevents sweat from exiting the body, and also absorbs moisture. As time goes on, the body breaks down this ingredient so that it becomes increasingly less effective, thereby requiring additional applications. As far as Helmm’s inactive ingredients, sites like Truth In Aging, EWG, and Paula’s Choice report that most act as conditioners (Cyclopentasiloxane, Stearyl Alcohol, C12-C15 Alkyl Benzoate, Dimethicone 10 CST, Hydrogenated Castor Oil, Sunflower Seed Oil, Vegetable Glycerin, Aloe Leaf Extract), as well as formulation stabilizers and emulsifiers (Behenyl Alcohol, Tapioca Starch, Steareth-2, Corn Starch). Could the Ingredients in Helmm Deodorant Cause Side Effects? Whether found in Helmm’s deodorants or any other formulation, a quick online search for “aluminum antiperspirant side effects” will reveal thousands of discussions about the link between this ingredient and the development of breast cancer, Alzheimer’s disease, and kidney disease. However, WebMD emphasizes “there is no real scientific evidence that aluminum or any of the other ingredients in these products pose any threat to human health." John Bailey, Ph.D., chief scientist with the Personal Care Products Council, adds "These products can be used with high confidence of their safety. They've been used for many years, and there's no evidence that suggests a problem." Outside of this, when this form of aluminum mixes with the moisture from sweat, it can also leave behind a yellowish tint in any clothing it comes into contact with, although most laundry detergents should be able to effectively remove. How Much Does Helmm Deodorant Cost? Helmm’s Starter Kit ($30) includes one container and one refill cartridge, with a new cartridge arriving once every six, seven, or eight weeks ($12). Customers can also purchase refills without a prescription for $14 each. Their Starter Kit Gift ($55) includes one Helmm container, one refill cartridge, and two subscription-based refills. All orders include free shipping. Either way, subscriptions can be modified or canceled at any time, without obligation by reaching out to contact@helmm.com. According to their FAQ, Helmm's containers are built to last at least three years, while cartridges will need to be replaced every six to eight weeks, depending on frequency and the amount applied each time. This means that if you need a replacement once every two months, you’ll spend about $72 per year on refills, plus the initial cost $30 price for the container. Comparatively, traditional men’s stick deodorants will cost you between $3 and $5, each, bringing the total for similar usage to $36 - $60, annually. 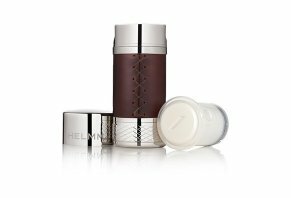 Are There Other Refillable Deodorants Competing With Helmm? While we found multiple roll-on deodorant systems with replaceable reservoirs during our research, which can be ideal for filling with essential oils and so forth, the closest competitor to Helmm we encountered was Switch Fresh. Comparatively, their containers—which are designed meaningfully different—promise to reduce plastic waste by 96%, and are priced at just $9.99. They also offer three different formulas and a total of six scents: antiperspirant (South Loop, TriBeCa, Calabasas & Buckhead), aluminum-free (South Beach & Venice Beach), and all natural (Aspen & Yellowstone). However, Switch Fresh had recently closed pre-orders at the time of our research, with no upcoming re-release date mentioned. How to pick the right option for you? The bottom line is that choosing a deodorant isn’t exactly rocket science, and will depend mainly on your bodily needs (level of odor protection, whether or not you require an antiperspirant component, etc. ), as well as your personal preferences (application method, fragrance (or lack thereof), etc.). With these details in mind, if you’re looking for something that’s refillable, Helmm is currently the only option on the market. Does this necessarily mean you should go ahead and place an order? Should You Give Helmm Deodorant a Try? As a company, Helmm (ZGTL, LLC) was co-founded by Zachary M. Groffsky and CEO Lindsey Taylor Wood in 2017 and had only recently started marketing their different deodorant formulations. As a result, they didn't boast any online customer feedback at the time of our research. While we didn’t test any of their deodorants to provide firsthand feedback, it seems like their luxury-level zinc alloy containers and refillable cartridges could help you choose a scent that matches your mood for the day, while also using much less plastic than traditional deodorant. Furthermore, with scents developed by decorated French perfumer Cecile Hua, you likely won’t smell the same as anyone else you encounter. With this said, the only active ingredient in Helmm’s deodorants (zirconium tetrachlorohydrex glycine) is the exact one you’ll find in thousands of competing antiperspirant formulations—some of which come in at less than half of Helmm’s price. Furthermore, traditional deodorant containers made from polyethylene are recyclable by certain municipalities, so if you live in one of these areas, you could save money using traditional options, while also eliminating any environmental concerns. >> Read next: Dollar Shave Club vs. Harry’s vs. ShaveMOB: Which Men’s Shave Club is Best? Write a Review for Helmm Deodorant!